Last month a healthy adult male tragically lost his life during the safety evaluation phase (Phase I) of a clinical trail taking place in France. The trial was testing the experimental drug BIA 10-2474, a proposed pain-management treatment, developed by Portuguese pharmaceutical company Bial (Portela e C.ª, S.A.). The experimental drug was designed to be a long-acting and reversible inhibitor of fatty acid amide hydrolase (FAAH), an enzyme relevant to several medical conditions, including: anxiety, post-traumatic stress disorder, chronic pain, and cancer. Drug dosage in the trails was escalated after initial safety protocols failed to raise any alarms about potential toxicity. Unfortunately, it was during this drug dosage escalation that serious adverse effects were experienced by six patients. All participants experienced deep brain bleeding that required hospitalization, with the rapid and acute bleeding being fatal for one individual. How BIA 10-2474 induces such deadly adverse effects is still under investigation and will be critical for avoiding similar occurrences in the future. Cyclica Inc. wanted to aid in the efforts towards discovering the underlying biological activity of BIA 10-2474 that led to bleeding within the brain. 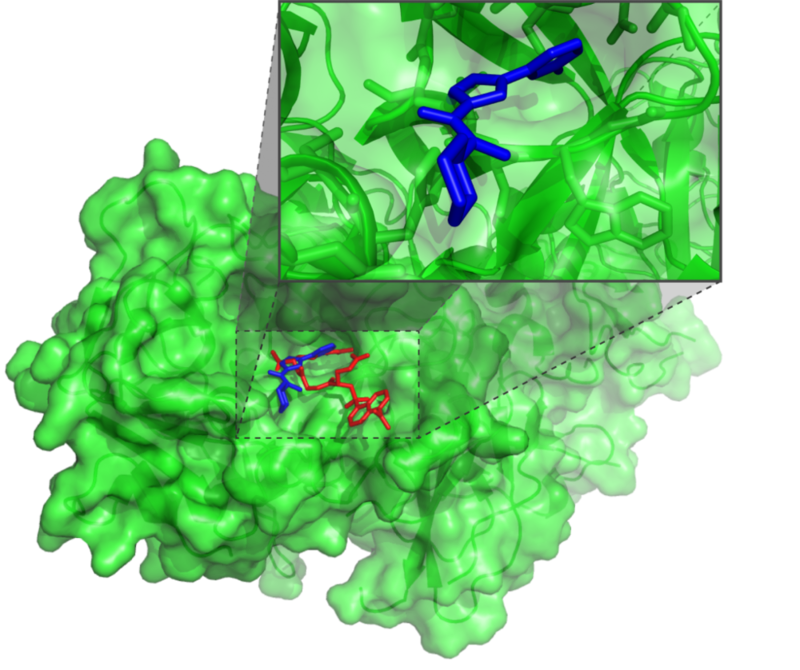 In order to do so, Cyclica used its proteome-docking platform to investigate the acute neurotoxicity of BIA 10-2474 (also called compound 362 within scientific and patent literature). Cyclica’s automated computer-based proteome-docking approach scans all surfaces of all known human proteins to identify possible binding sites. Using this collection of protein targets as a starting point, Cyclica scientist’s evaluated the polypharmacology of BIA 10-2474 in order to determine the mechanism of toxicity that lead to the serious adverse events and unfortunate fatality. Figure 2. Network diagram showing relevant proteins and their biological associations. Accordingly, Cyclica scientists identified several proteins that strongly interacted with BIA 10-2474, and using automated systems biology enrichments, found that several of these have been previously implicated in causing brain/intracerebral hemorrhages. From this short list of potential toxicity-causing candidate proteins, each was categorized as either (1) modulators of blood coagulation, (2) brain tissue remodelling or (3) other intracellular processes (Figure 2). From this analysis, BIA 10-2474 was predicted to inhibit the activity of these proteins, and furthermore that blockade of these targets would lead to acute and rapid onset of biological consequences, drawing parallels to symptoms observed in the clinical trial. Importantly, one protein in particular was most suspect, coagulation factor VII, and may be one of the major targets responsible for the serious adverse events attributed to BIA 10-2474 (Figure 3).